"It is hard to believe how much his life has changed." No one knows exactly how long Kujira waited in his tiny metal cage. 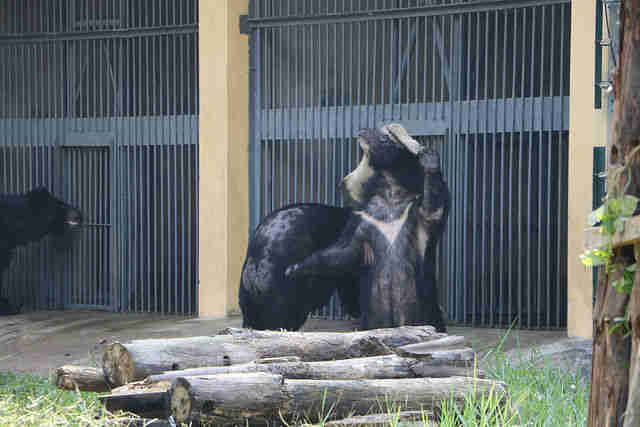 The moon bear was stuck at a bile farm in Vietnam, where he'd likely lived since he was just a cub. 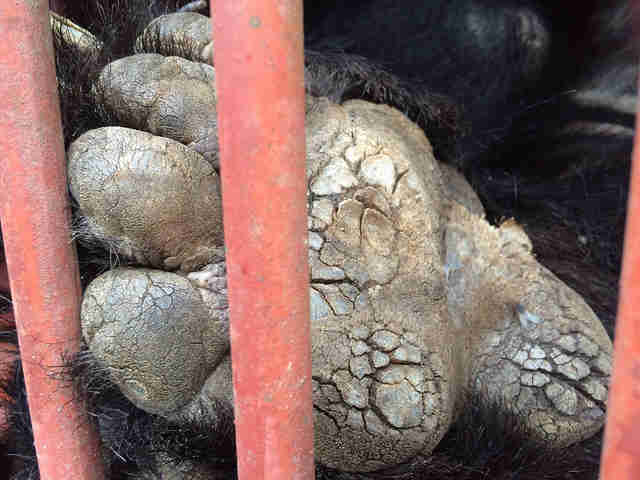 Bear bile is prized as an ingredient in Chinese traditional medicine, and thousands of bears are kept on "farms" across Asia, living in cages that are often too small for them to stand up in, while bile is harvested through holes in their sides. But Kujira had an even harder time handling this life than other bears. He had an open wound on his chest, which caused him to scratch at and harm himself. He was underweight from his poor diet. He had several broken teeth, and his claws were overgrown. And he was blind, which meant he wasn't able to see or understand what was going on around him. "On the farm he would have heard footsteps, the clanging of metal and felt the agony of bile extraction," Animals Asia said. "Every sound and smell could have signalled more suffering." But all of that was about to change. 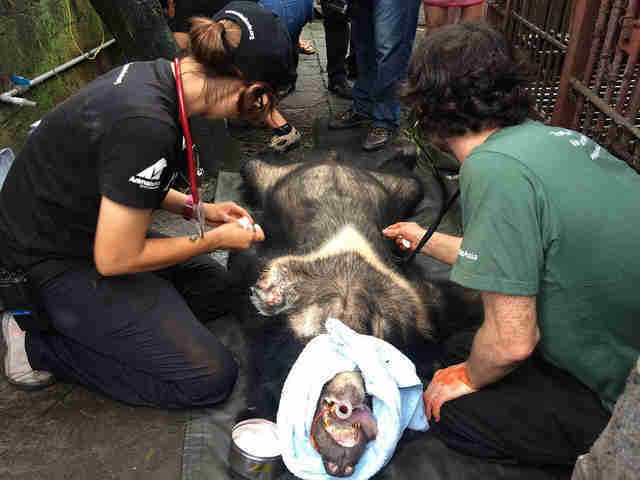 In June 2015, Animals Asia finally obtained permission to rescue Kujira, part of a four-day rescue operation to save 13 lucky bears from the darkness of the bile farms. And when the team arrived, it was clear that Kujira needed their help the most. The long years of suffering had affected his mental health, and he had developed stereotypic behaviors - tics animals use to cope with the stress of captivity. "The rescue team noted his constant repetitive actions, a sure sign of mental decline, were some of the most severe they had ever seen," Animals Asia said. 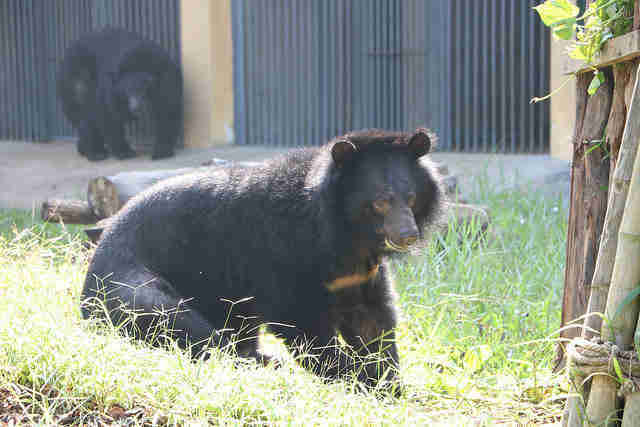 Kujira was quickly brought to Animals Asia's bear rescue center. The team set about repairing his body. 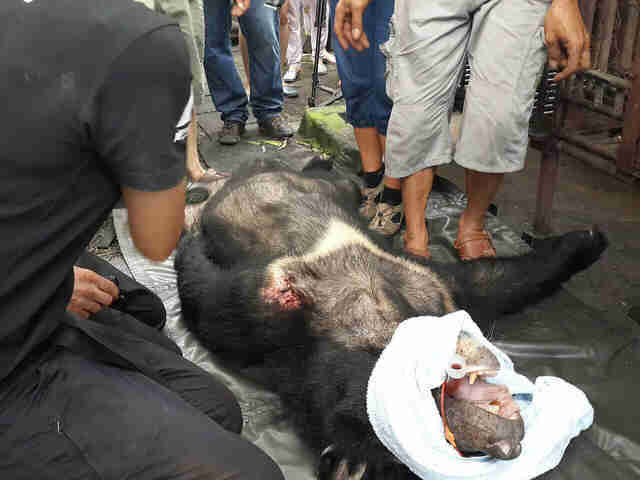 They treated his wound and gave him exercise space and proper food for the first time. "It is pleasing he is eating very well, only leaving tomatoes and carrot," the team wrote in the days after his rescue. And, through surgery, they helped him regain sight in one eye. "He can see the sun, the sky and feel the grass beneath his paws," the team said. Kujira still needed to heal psychologically - but the team left that to the other bears. For the first time, Kujira was able to play and interact with other members of his species. "He can watch his new bear friends - the first he has ever known - playing together, and can join in whenever he feels ready," Animals Asia wrote. He also quickly discovered a love of water - while moon bears love swimming, they never get a chance to experience water in the bile farms. "He adores being showered and has a charming habit of trying to drink from the hosepipe," Animals Asia reported. These days, Kujira is an entirely different bear from the frightened animal the rescue team discovered last year. He spends his days playing in the grass and wrestling with his friends - and, at long last, seeing everything the world has to offer. 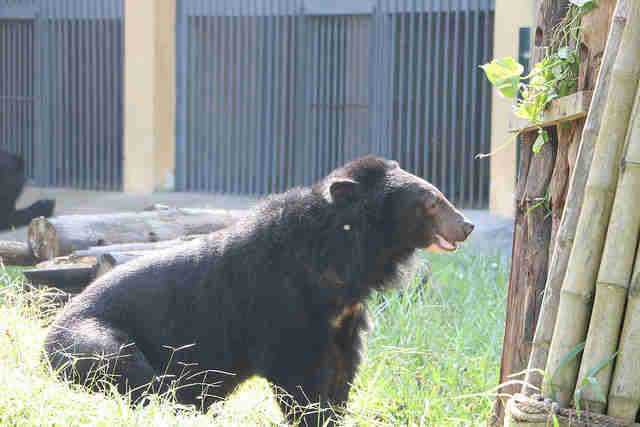 "His stereotypic behavior was some of the worst I have ever seen, but is so much better now," Kelly Donithan, Animals Asia bear manager, said in a statement. "Every day we see signs of improvement to his mental health as his body heals. We can never erase Kujira's awful past, but we'll work every day to make them increasingly distant memories." "Kujira's journey has been utterly remarkable," Donithan added. "He is pain free, he has space to play, he has friends - and he can see. It is hard to believe how much his life has changed." 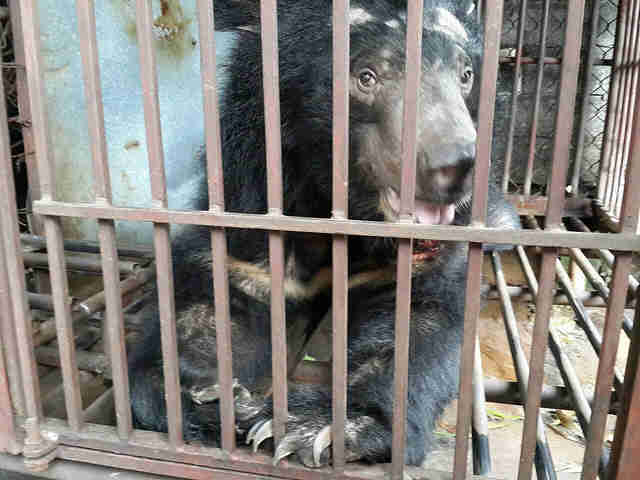 To help care for Kujira, and support the rescues of the hundreds of other bears still living in bile farms, you can make a donation here. You can also send gifts to the rescued bears - such as a jar of jam or a new bear swing to play on - here.